Forces such as political conflict, globalization and the growth of the internet, offering news of life elsewhere, mean levels of migration are higher now than at any other time in history. Despite the signing of a number of legally binding international treaties that seek to guarantee health care for migrants, there is still a considerable gap between government commitments and the reality of everyday life. As levels of migration continue to increase, it is essential for health care professionals to consider the differing needs of migrants in order to provide them with quality care. 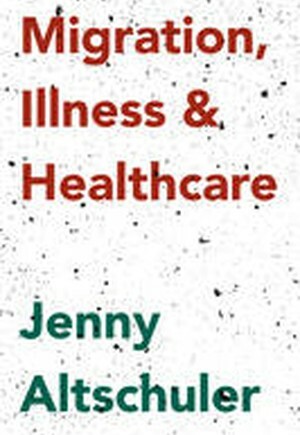 Informed by systemic theory, and drawing on the author's extensive clinical - as well as personal - experience, this timely book explores the limited existing information about migrants' health care experiences, and offers recommendations for clinical practice. Providing the reader with an understanding of the ways in which migration informs and is informed by experiences of illness, the book thoroughly examines topics such as: * Links between migration and physical and mental health* Language barriers and prejudice * The effects of migration on feelings of grief and loss* The real challenges of providing effective health care to migrants, as told by a GP working with mostly first or second generation migrants in the UK Providing a comprehensive insight into a worldwide issue, this is an essential guide for health care students, professionals and policy makers. 1. Introduction.- 2. Links between Migrancy and Health.- 3. Individual and Family Experiences of Illness and Death.- 4. Cultural Diversity, Language Barriers and Prejudice.- 5. Individual and Family Experiences of Migration.- 6. Intersection between Migration, Illness and Health Care.- 7. Cross-cultural Work in Primary Care (Rachel Hopkins).- 8. International Migration of Health Care Professionals.- 9. Conclusion.